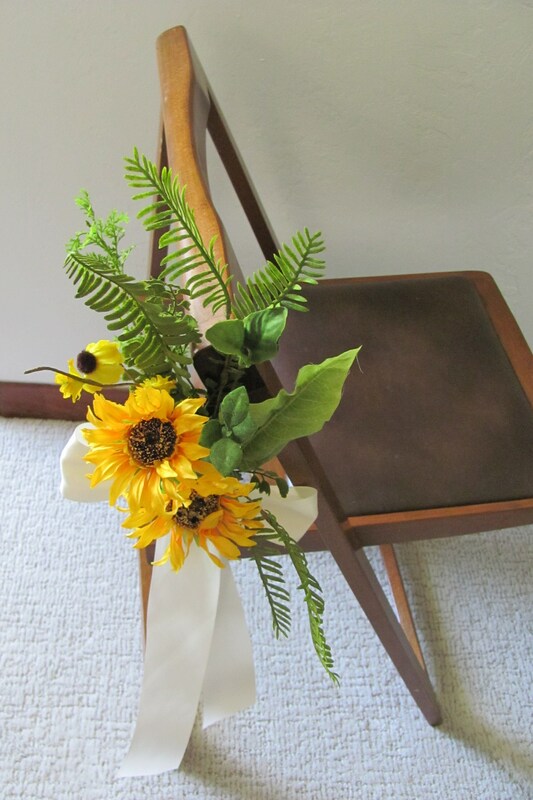 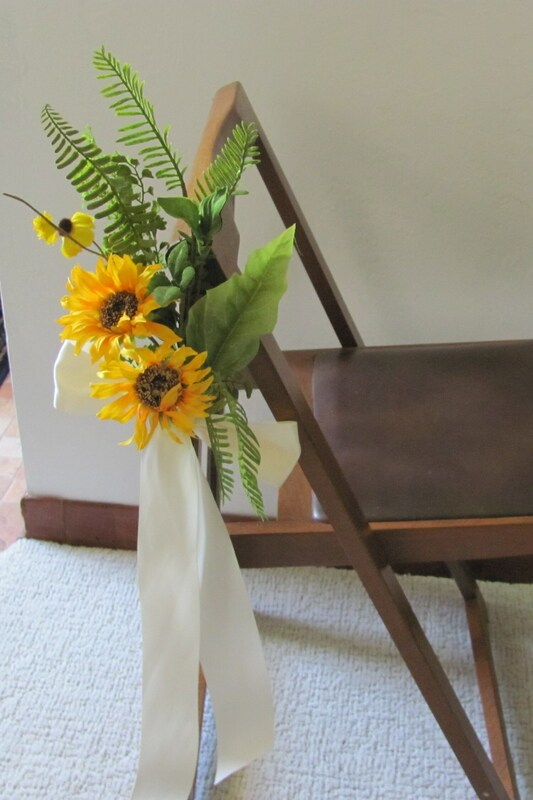 Wedding aisle chair floral decoration features artificial sunflower theme floral arrangement with faux sunflowers, ferns and leaves. 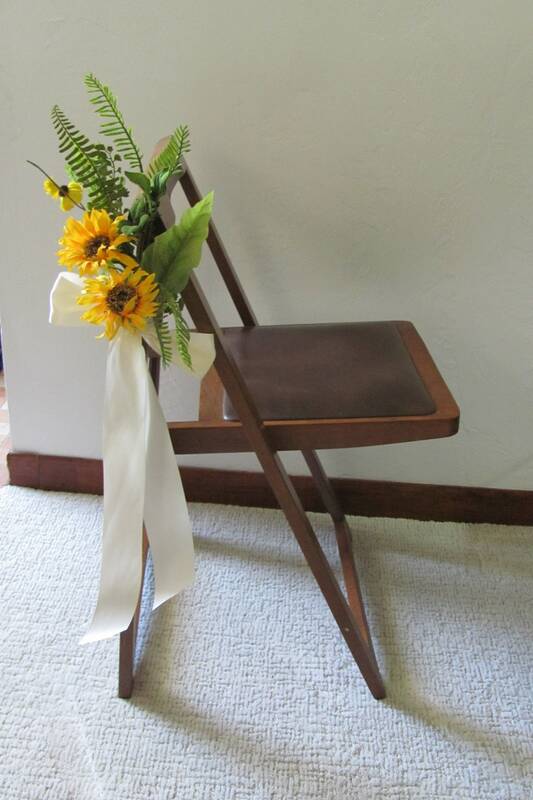 Comes with Ivory ribbon and a zip tie for you to attach to your wedding chair. 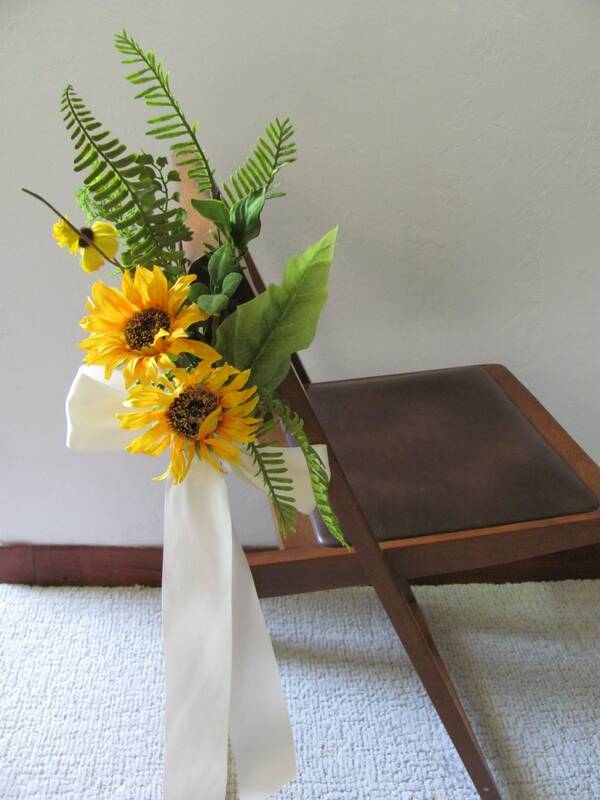 Custom orders are welcomed however price can vary based on your ribbon and floral requests.